These D&D exclusives are made of exotic bass that are sure to turn heads. 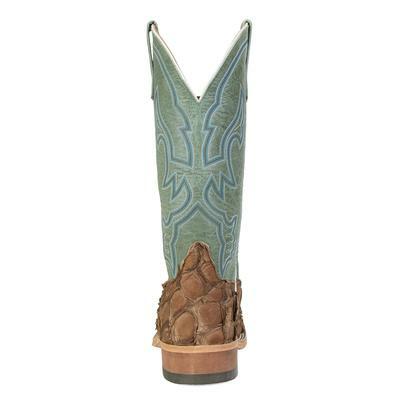 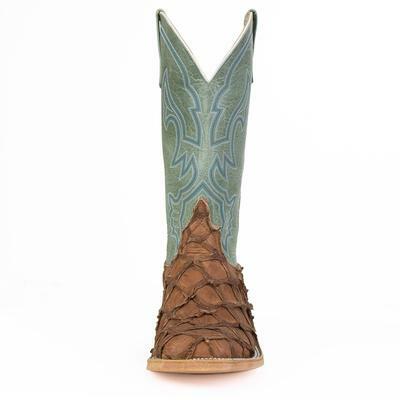 The upper features a matte green leather with blue, white and brown stitching and the bottom features matte finish tan bass. 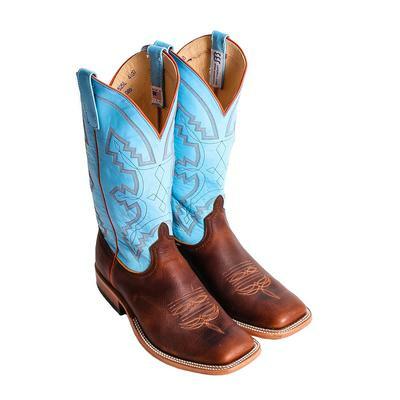 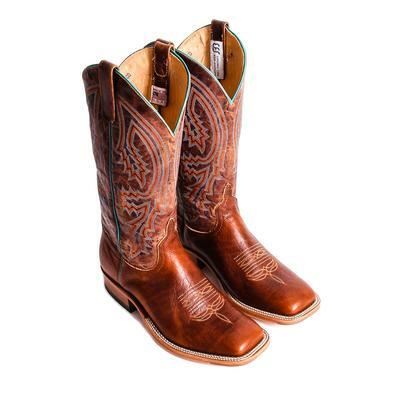 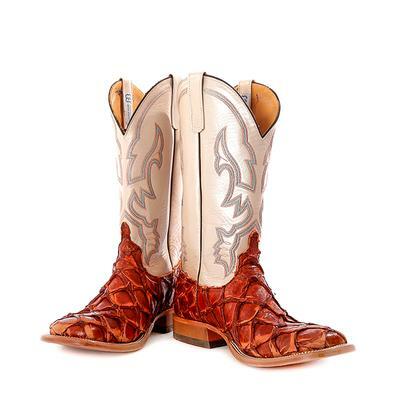 You will be loving these boots for years to come with good care and maintenance. 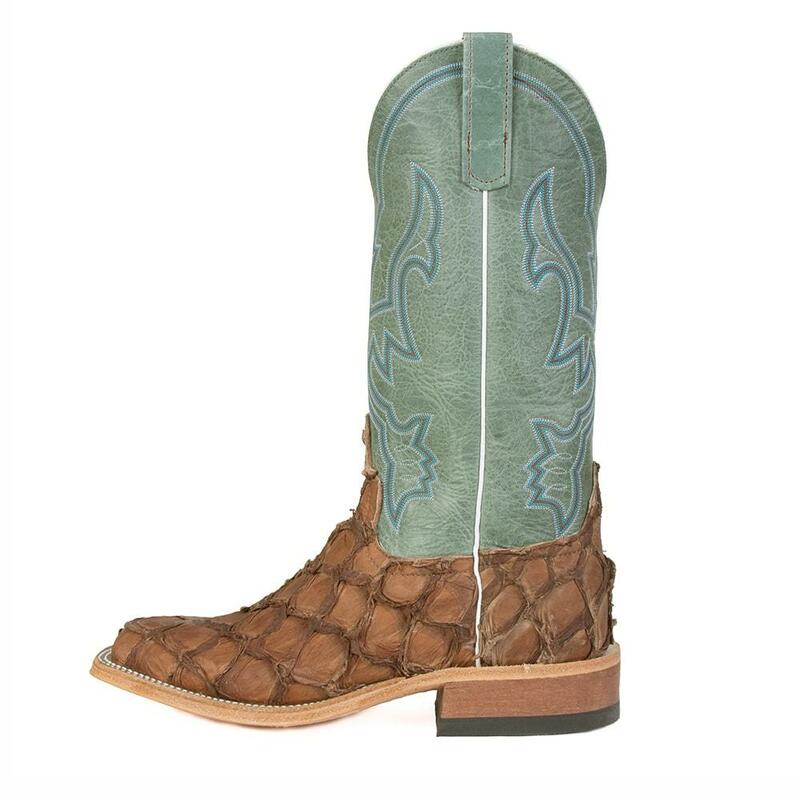 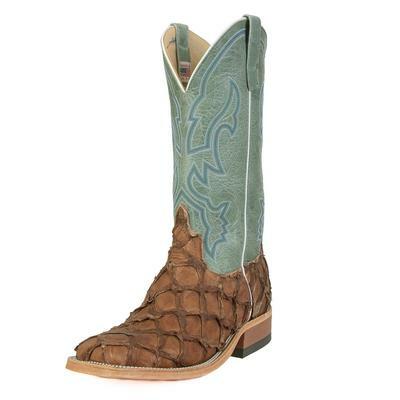 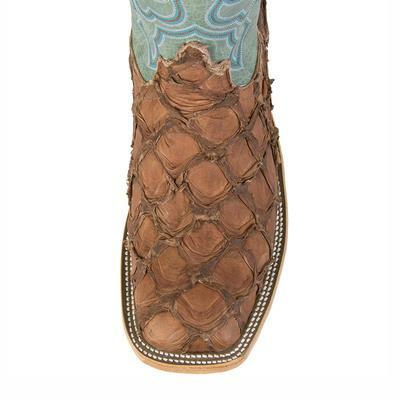 Please note: these boots are handcrafted from an exotic animal so the color and texture will vary. 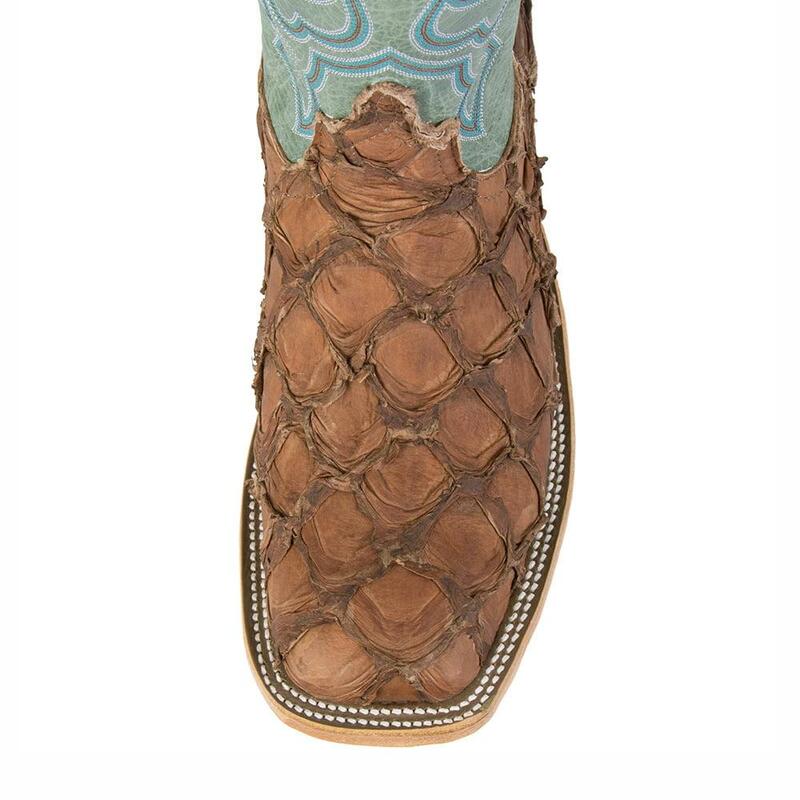 Leather soles and traction heels.